Tiffany graduated from Bloomingdale High School in 2003 and continued her education by joining our Associates program. She is now behind the chair as a master stylist. She's always up to date with the latest trends and looks forward to making every guests experience an exciting and memorable one! Amie Morley received her training at Cosmetology and Spa Institute, a Pivot Point school in McHenry, IL. 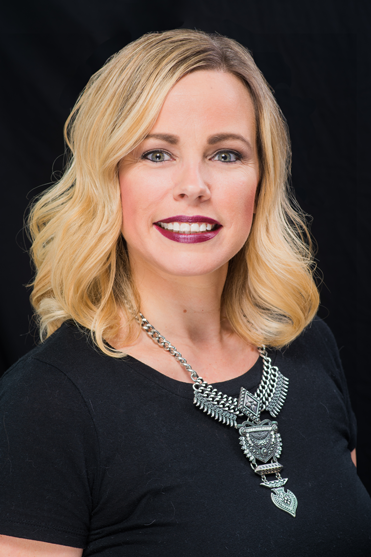 She has been in the hair industry for 18 years, specializing in blondes, color, cuts, human hair extensions, and hair smoothing treatments. She moved to Florida 6 years ago and has continued her education in Redken, keeping up with current styles and the newest color techniques. + Redken Blonde Authority-Coming soon! + Redken Hair Color Certified-Coming soon! Born and raised in Philadelphia, Tommy earned his formal education in Precision Hair cutting, coloring and foiling in 1989 from the Vidal Sassoon Academy in Santa Monica, CA. This training prepared him to become a platform artist at Redken Hair Shows and moreover gaining experience in several areas of the hair industry. He successfully owned and operated 3 salons in the greater Philadelphia area. In 2009, searching new horizons, he joined Synergy as Salon Manager. He continues to expand his knowledge by attending workshops and keeping up with the latest trends in our industry. I’m a stylist of 15 years. I’ve worked with many color lines over the years. I love doing color, highlights and dimensional color the most. I love getting to know my guests and creating personal relationships with each one. Doing hair is fun and rewarding and I love my job! Kenzie graduated from Paul Mitchell in 2015 and continued her education by joining our Associates program. She is now behind the chair as a level 1 stylist. She's always up to date with the latest trends and looks forward to making every guests experience an exciting and memorable one! Keara is a stylist in training and participates in continuing her education until she is behind the chair. She is the friendly face you will see as you walk in. She is the head receptionist and does her best to make your experience comfortable and enjoyable. "I came here about a month ago to get my hair highlighted and i have already made an appointment to come back. I will continue to come here. i love the atmosphere they are all a very professional staff." "Dina SAVED my hair!!!! I went to another local salon and my hair color was RUINED!!! I came to Dina for help and she worked a MIRACLE!!! Synergy is MY new Salon! THANKS DINA!!!! " "I have been getting my hair done at the salon for years now. I have been going to Synergy for over a year now. She always cuts and colors my hair exactly as I ask. She has even given me some advice on different styles and color and when I had then done it was beautiful. Everyone that works at the salon are always helpful and friendly. I would never go anywhere else." "Thank goodness for this salon!! As a small business owner I need to convey a professional image and Synergy with its talented staff, help me to look my best. From the moment that I walk in the door of the salon I feel at home and welcome. FABULOUS TEAM!!!" "Everyone at the Salon is professional and amazing. I would recommend Micah for that special Up-Do, cut, or color...she ROCKS! You have some of the most polite receptionist that I have met, she has customer service done to an art! You will be making a mistake if you do not make your appointment with Synergy!" ©Synergy Salon of Tampa Bay, LLC 2018. All rights reserved. Rights and Responsibilities. As an adult guest of Synergy Salon, you have both the right and responsibility to fully communicate any health concerns, special needs and/or expectations you may have have about receiving your service directly to us BEFORE receiving the service. In return, we pledge to provide the best salon experience during your visit. Cancellation No-Show Policy. The Synergy Salon staff are highly-trained professionals who are scheduled to serve you based upon the confirmed appointments you make. If you must cancel your appointment, please do so at least 24 hours in advance, or you will be subject to a 30% cancellation fee. Individuals who do not show up and do not cancel their appointments will pay 100% of their regular appointment cost.